Bloomsbury Professional Ireland is proud to be the number one legal and tax publisher in Ireland. We publish in a wide range of practice areas, from criminal law to charities, and from media law to mediation. Across all these areas we aim to provide quality legal analysis and scholarship, as well as practical information and guidance. Our carefully curated list includes some of the cornerstone texts of Irish legal scholarship, including Kelly: The Irish Constitution, McMahon and Binchy’s Law of Torts, Contract Law by McDermott and McDermott, as well as JCW Wylie’s extensive titles on land law, conveyancing, and landlord and tenant law. Along with these we also publish new and timely titles such as EU Data Protection Law, Residential Tenancies, and Media Law in Ireland. 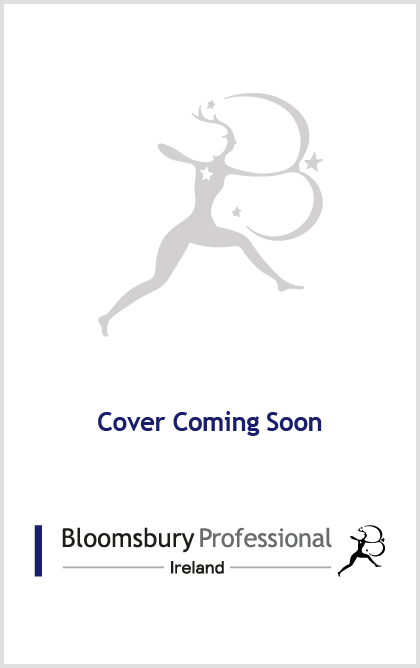 We are always looking to expand our list of quality legal books, so if you are interested in writing for us, contact sandra.mulvey@bloomsbury.com for further details.